The need to turn off the light in the apartment or house can be caused by a variety of reasons, ranging from repair of electrical wiring and finishing with the de-energization of the premises at the time of departure. Knowledge of the intricacies of the disconnect allows you to quickly and safely perform this task. Methods of outages depend on the type of installed on the electric shield of protection devices. For example, in some of the houses still meet the protection devices with conventional ceramic fuse, or as they are commonly referred to in everyday life, traffic jams. 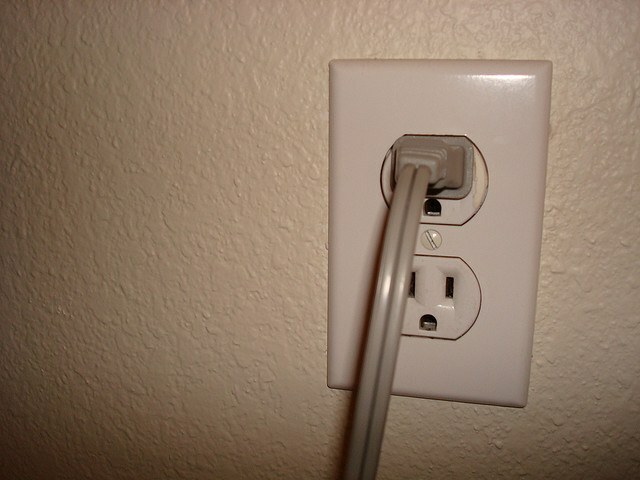 In order to disconnect the house, you need to twist the stopper on the phase wire (usually the left tube). To avoid possible errors it is better to turn both. Instead of the usual screw plugs are often used in the same cartridges automatic tube designed for a certain current, for example, 6A. This plug disconnects the supply voltage under short circuit conditions or exceeding the estimated load current. Automatic tube there are two buttons: a big power button, and a small – mute button. To turn off supply voltage, press the small button on the phase plug. More often in homes and apartments put automatic protection designed for a certain current. This machine is very reliable and convenient. To disconnect the wiring in the house, put the switch on the circuit breaker in the "Off" position. Consider the fact that in modern houses and apartments machines are often placed separately on different parts of the transaction, which increases security and allows you to connect a higher load. Turning off the breaker, make sure to disconnect the desired area of the transaction. In many cases, the power supply circuit additionally inserted RCD – protection device to disable the power when a large leakage current. They protect the person from defeat by an electric current, but should only be installed after a conventional circuit breaker. Do not disconnect the supply voltage through a breaker, use it circuit breaker. Turning off the electricity in the house, before starting work with electrical wiring be sure to check the voltage with a tester. This is an important rule of safety – working with electricity, get used to to start with check the supply voltage. The breaker can be spoiled, you can click the toggle switch not on the switch, etc., etc. Check a voltage it will protect you from electric shock.